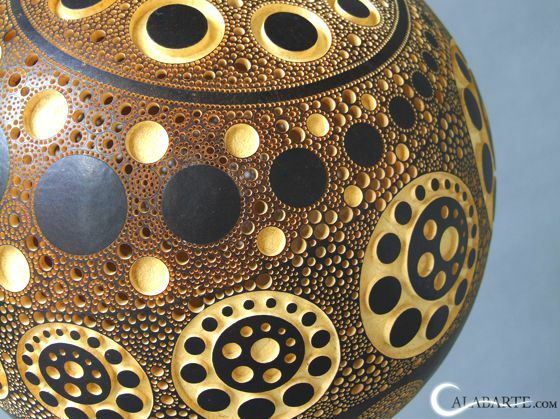 Przemek Krawczyński is an amazing self-taught artist who lives and works in Poland. 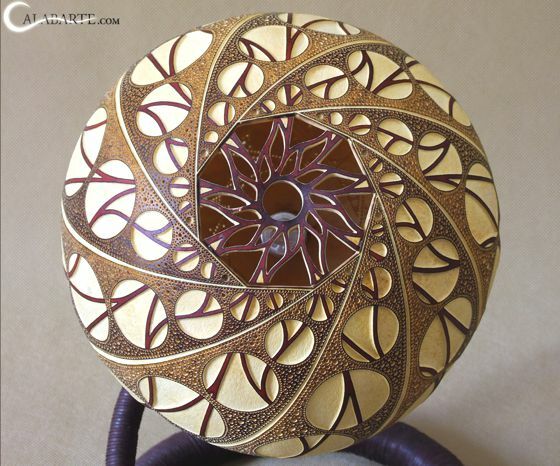 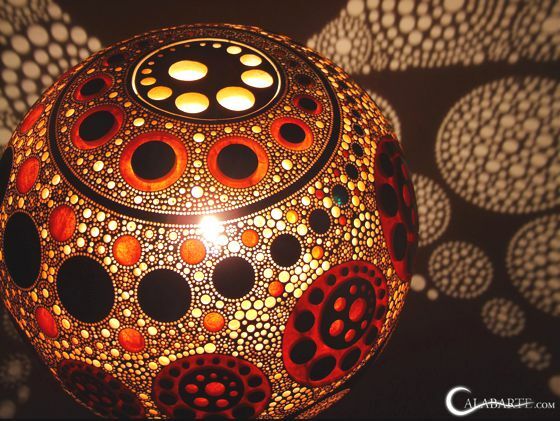 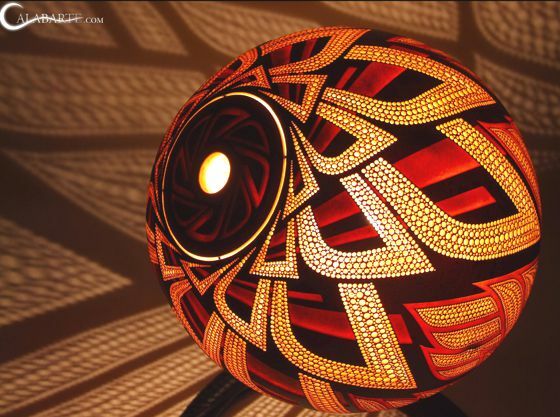 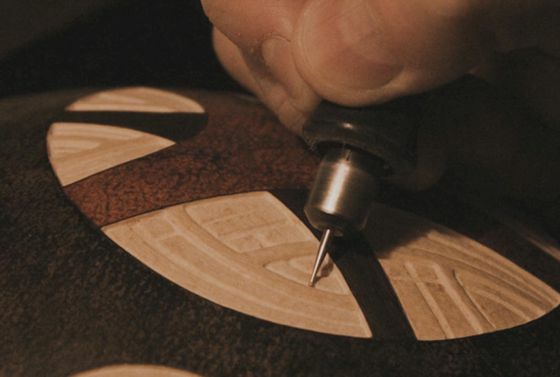 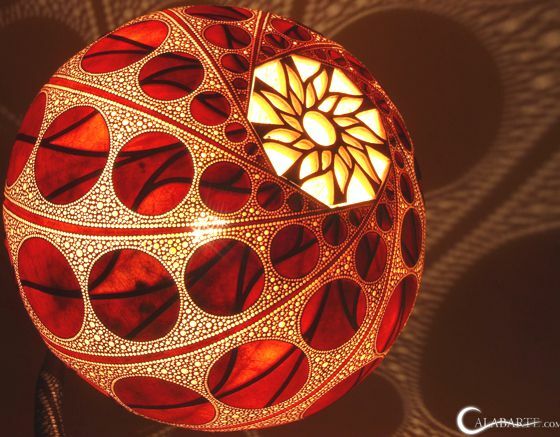 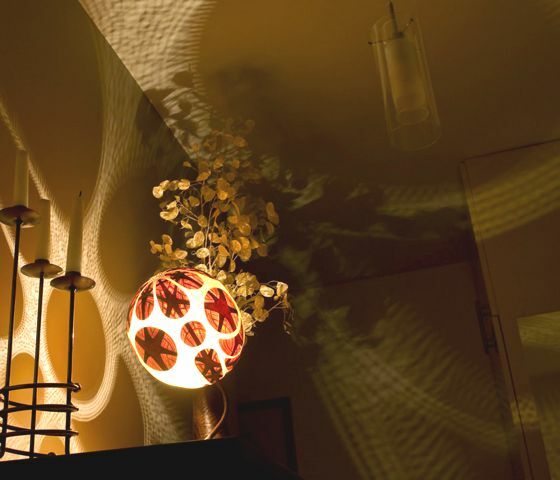 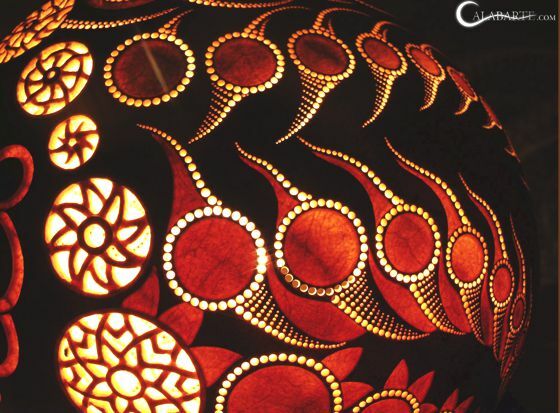 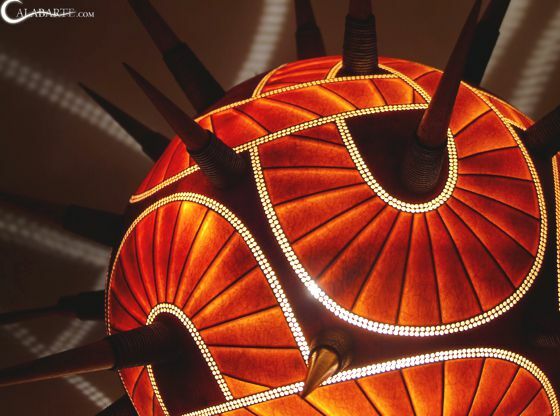 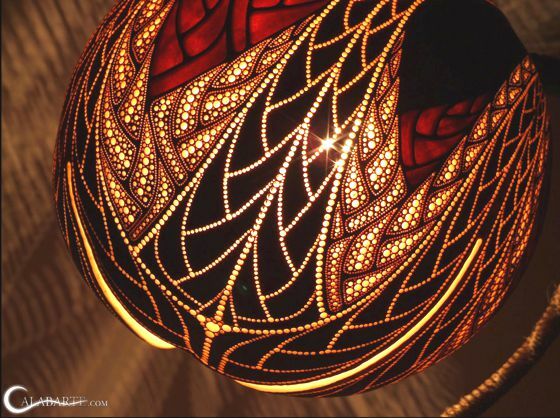 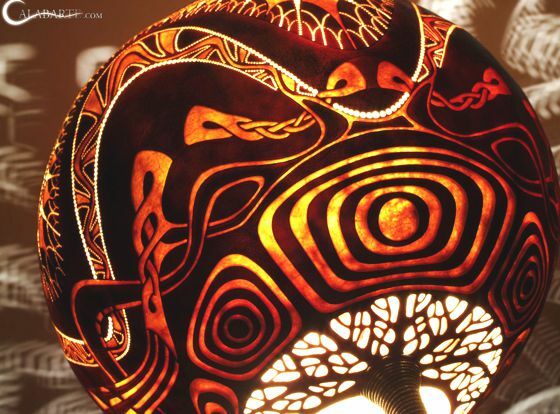 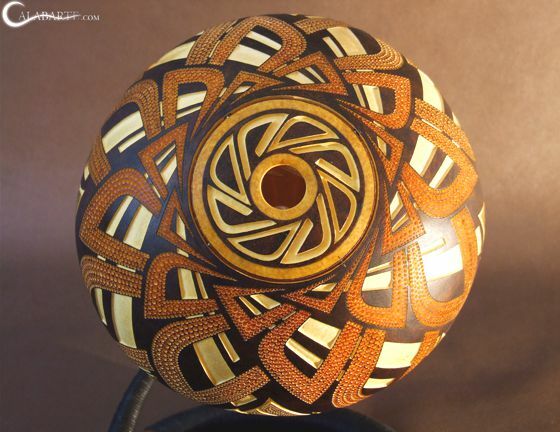 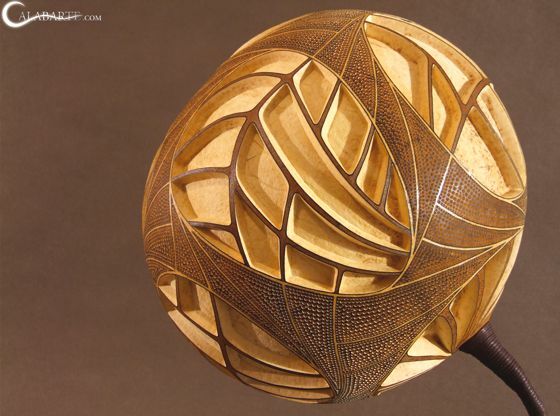 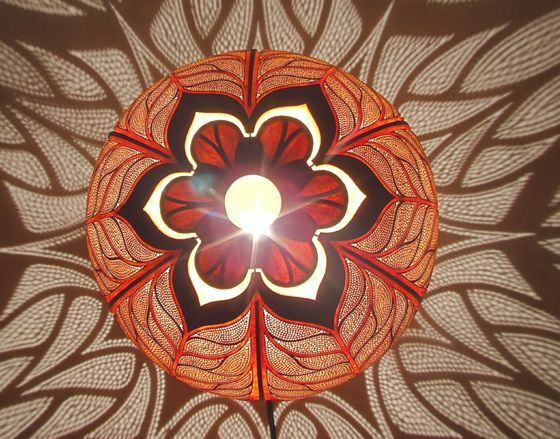 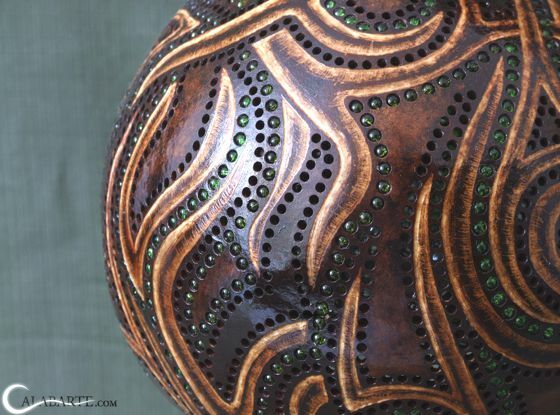 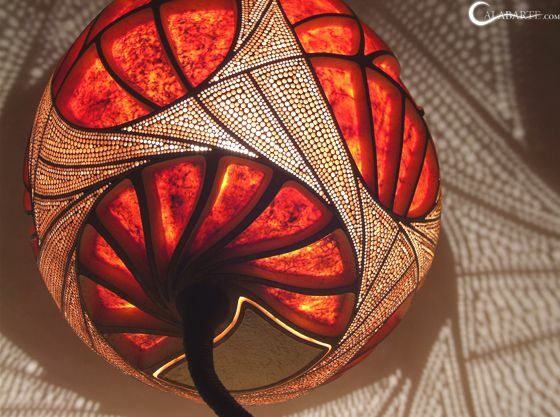 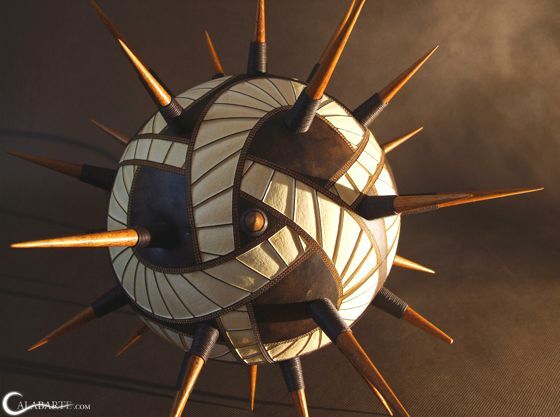 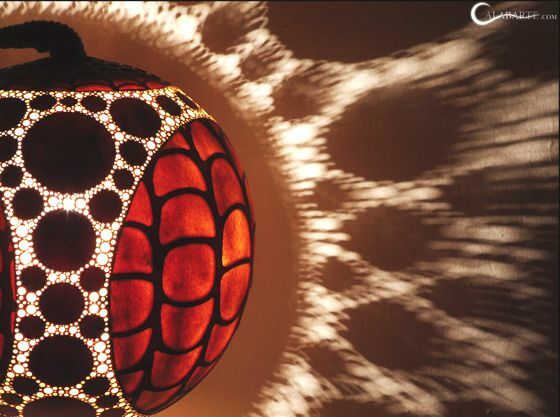 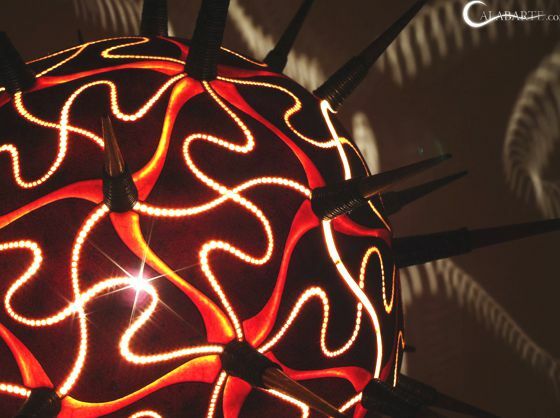 In 2009, he began by chance to create lamps carved into pumpkins, with a meticulous and painstaking design, carving and finishing. 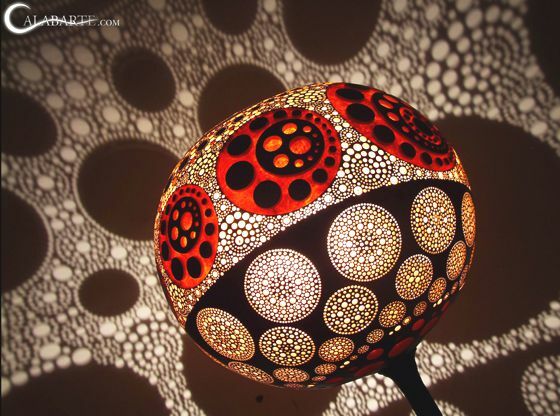 His first lamps were made with varieties of squash growing in Poland. 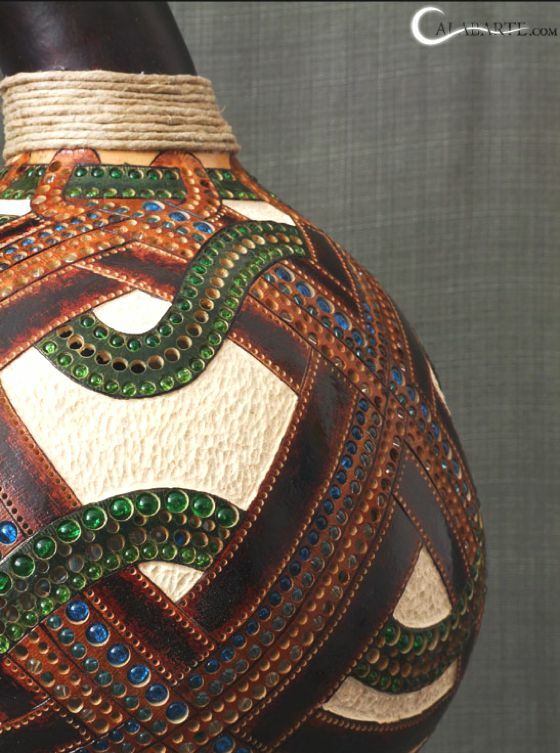 After an intense trip to Senegal, Przemek started to use the variety of Senegalese gourd that grows on trees. 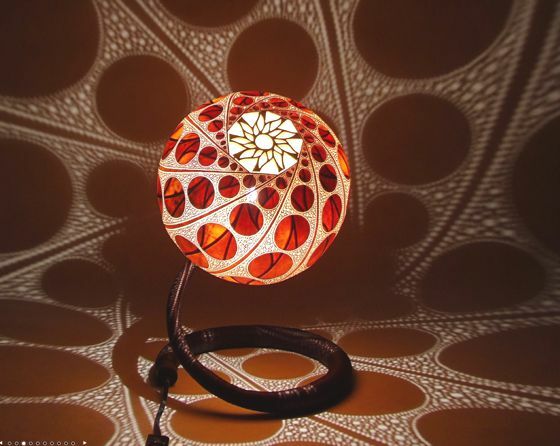 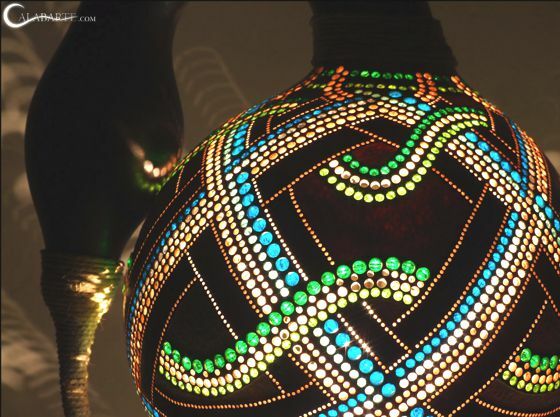 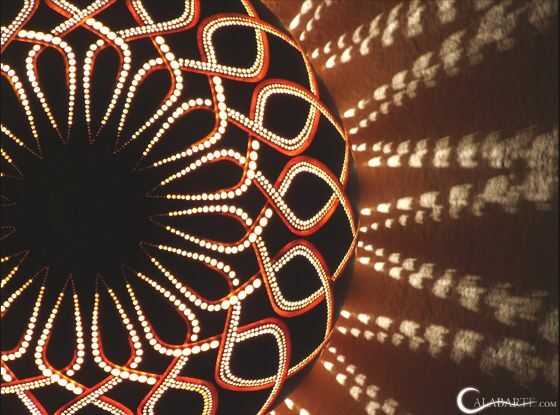 His creations are beautiful, with amazing geometric patterns often inspired by fractals, which are both beautiful to see off, thanks to the wonderful surfaces, which turned on, when it creates the striking and spectacular lighting effects.